Having the best security system can really give a homeowner peace of mind, but only if it works the way it’s supposed to and can be relied on. With that in mind, whether Alexa control Z-Wave is one of the questions a lot of homeowners have. This comes up more and more as smart homes are becoming popular and homeowners are starting to find everything they can do with their devices. Z Wave already does so much to automate a home, and when Alexa integration is added that means voice control — and a higher level of peace of mind and security. It’s a great feeling to have that level of quality and service, so integrating Alexa with Z Wave is a good way to make the home more efficient and better for the homeowners to enjoy and feel comfortable in. Having Alexa means strong customer service, and it’s one of the ways to give homeowners the quality and value they need. 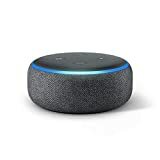 By purchasing an Amazon product that offers Alexa’s voice control service, a homeowner can focus on making sure their house is as up-to-date as possible. It can also help anyone who may have trouble getting around, because they can control things with their voice instead of needing to get up and make adjustments. Whether a homeowner is creating an Alexa alarm or using their Alexa for other reasons, there are options for quality and value that can be considered. 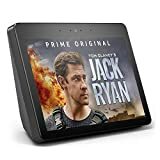 Alexa can also be used to control Z Wave, and the newer Amazon models that offer Alexa no longer require the hub to bridge the two devices together. Older models of Alexa still need the hub, because they aren’t set up to handle the Alexa integration automatically. With newer options, though, a homeowner will find that integration can be relatively seamless. That makes things much easier, and allows for Alexa to control Z Wave in a way that works for everyone involved. The value a homeowner gets from having that Alexa integration is extremely helpful, and an excellent way to make sure that all of the smart home devices in a person’s home are performing at the optimum level. With the right security system, and integration with Z Wave, a homeowner can have true peace of mind and security. These homeowners will then be able to add to their system as technology changes and improves, so they can continue to do even more for their homes. With Z Wave, automation and integration are both easy, and both worth considering for any homeowner who wants to focus on the quality and value that a smart home has to offer. 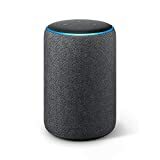 So if you’re asking yourself “what can Alexa do?”, you might also want to ask what Z-Wave can do too. Is It Time to Think About a Different Home Security Option? With everything a good monitored home security service can provide, including Alexa and Z Wave integration, it’s very important to make sure that a homeowner is getting what they really need and want. That way they won’t have to feel like they’re missing out, and they won’t need to worry about the quality of protection they’re getting — which means strong peace of mind.